Agents interested in where their clients’ interests may lie this year may want to look at what’s trending for 2018, according to Travel Leaders Network and Leisure Group president John Lovell. This includes Bleisure travel (extended corporate travel trips), Sproup – a word coined by TL Network – and meaning special access, special perks for groups, and adventure travel (which does not necessarily mean climbing Mount Everest). Also trending are sustainable, socially responsible travel and “Last Chance” tourism (people wanting to see it before it changes, such as the Big 5 in Africa). Lovell was in Toronto last week with a group of TL Network executives as the organization – the unified brand of Vacation.com, Travel Leaders and Results! Travel – marked its first anniversary and celebrated what has proved to be a very successful year. Accomplishments over the past year include expanded global and supplier partnerships, enhanced educational offerings and significantly expanded marketing programs. Lovell said 2017 proved to be a “very, very good year,” and while it’s too early for exact numbers, the company turned the year in really good shape. He said supplier partners are reporting that business is strong across the board. Block said the transition was accepted incredibly well from membership. “It’s a win-win for everyone,” he said. 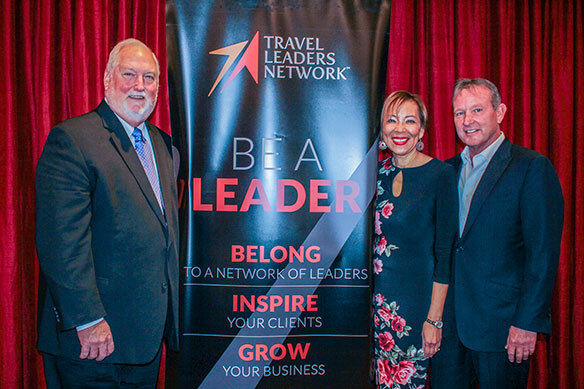 Through marketing partnerships, education and value-added programs, TL Network heightened its partnerships with suppliers and destinations during 2017, including exclusive offers and special amenity programs for cruise and hotel. This resulted in continued enhancements to the Distinctive Voyages cruise program and Select Hotels & Resorts program. “Our power as one network enhances our relationship with our suppliers in both the leisure and corporate travel areas,” said Block. TL Network is comprised of nearly 6,800 locations in both the United States and Canada. During 2017, 51 locations were added in Canada bringing the total to 700.